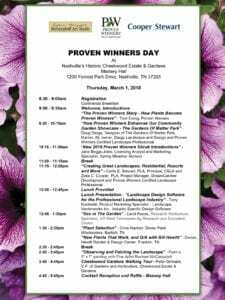 I hope you can join me for an amazing day at The Cheekwood Botanical Gardens and Museum in Nashville, Tennessee for the Proven Winners Landscape Roadshow. 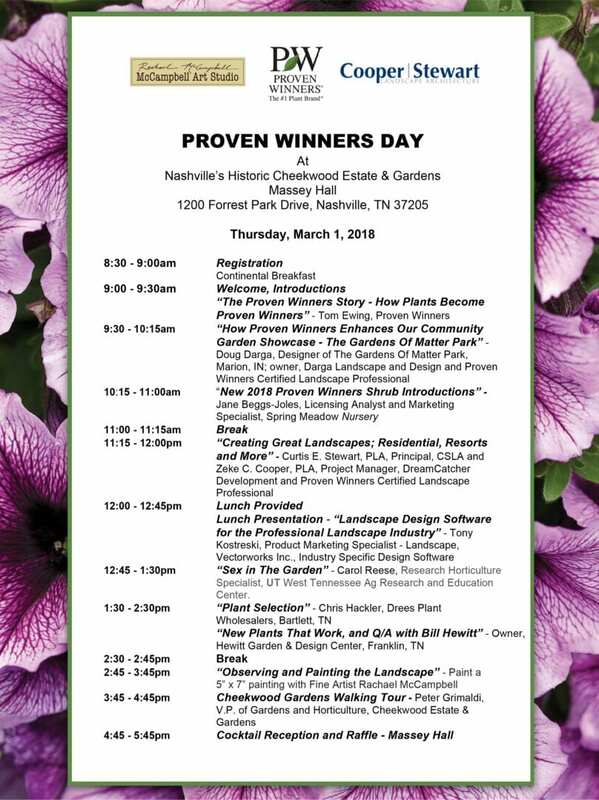 This is a day of expert speakers in their field of landscape design and horticulture. I am speaking with my husband, Curtis Stewart, who is a renowned Landscape Architect, on the connection with Garden and Fine Art Design and how the two merge. We will also get our hands dirty and paint a small landscape to take home. This will be full day from breakfast to lunch to cocktails. Come meet new friends, get inspired to plant in the spring and consider the “ART” of the garden you will create! You can register through Proven Winners. Painting Trip to the Cotswolds! Summer 2018!